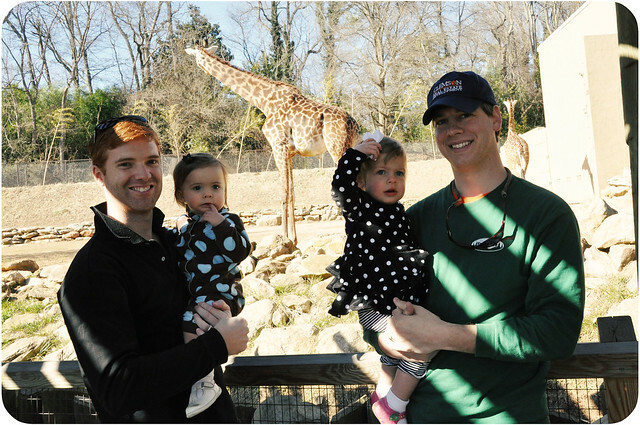 A couple of Saturdays ago we drove down the road a piece to the Greenville Zoo. It's pretty close to our house. Close enough for us to hear the monkeys when they get all loud and riled up. Generally, it's not common to hear the shreeks of monkeys when you walk out of your front door, so you can imagine my confusion the first time I heard it. The zoo is located in the heart of our dear city, right beside Cleveland Park. When you're at the park it's kind of funny to think about the exotic animals that reside mere yards away. So, now that you've listened to me whine about my childhood woes, (I mean, don't you just feel so sorry for me?? 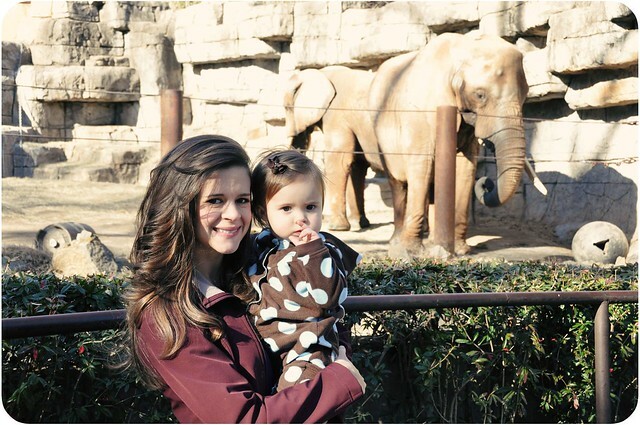 :), I'll admit that we had a splendid little trip to the zoo and look forward to many more visits! 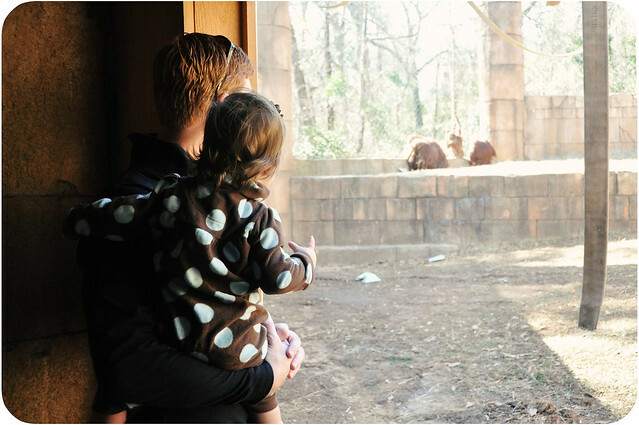 You can't see him, but we were looking at a lion in this picture. He was laying on a rock. Just riveting I tell you. 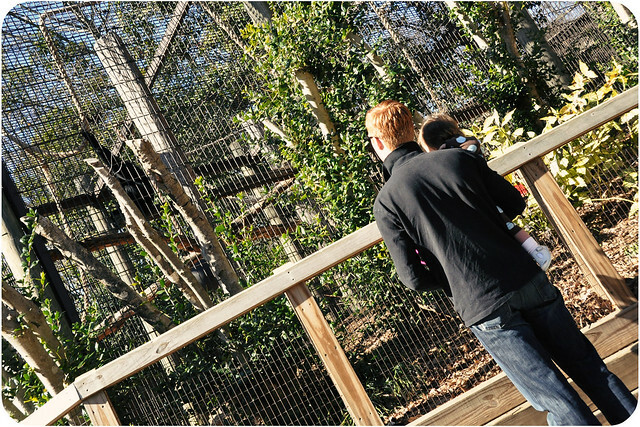 Here are Trey and Lael looking at the Siamangs. These are the ones we can hear from our house. They get LOUD. It's terrible, but I can't help but laugh at this picture. I was actually laughing when I took it. These monkeys are certainly not the kind of monkeys that we talk about in her animal books. I almost hesitated to even tell her that they were monkeys. She loves to make the "eeee-eeee, ooooo-ooooo" sound when we ask her about them. 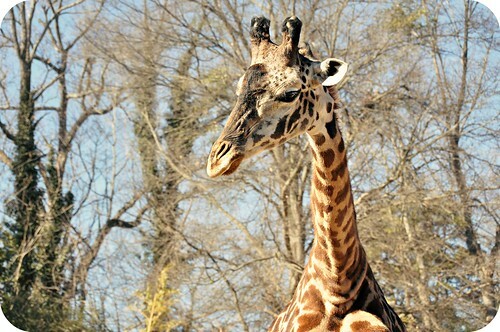 The giraffes are so pretty. And would you believe that there is a house (it may be an office that looks like a house, I'm not sure) that sits up on a hill looking straight down into the giraffe exhibit?? Can you even imagine having giraffes in your back yard? 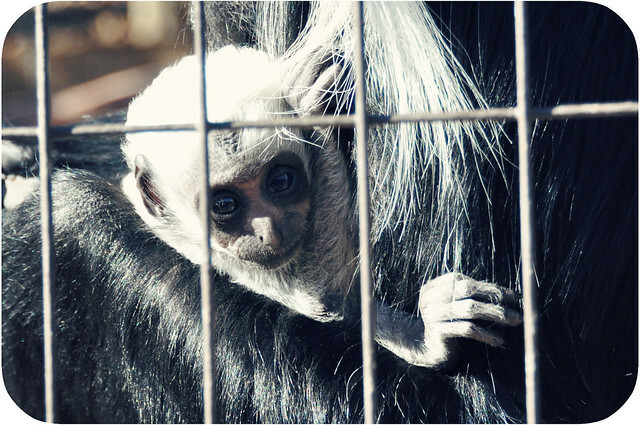 This is a Colobus Monkey. Much quieter. 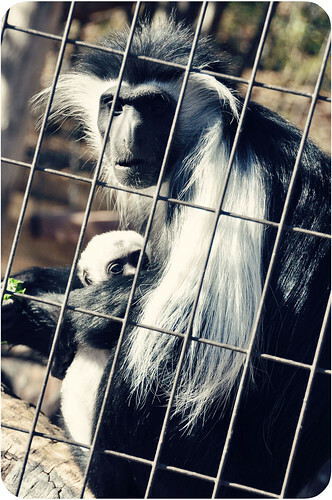 This momma gave birth to her little one in January and he/she is the newest attraction at the zoo. Here she is nursing her baby. I couldn't help but identify with the look of exhaustion written all over her poor, haggard face. 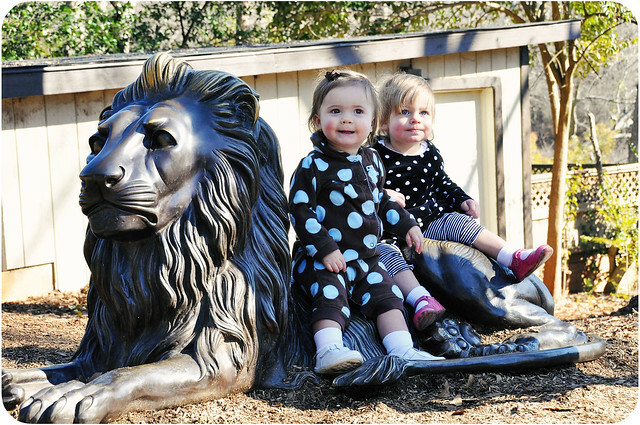 Here's to making many more fun, fond, and new memories of the zoo! 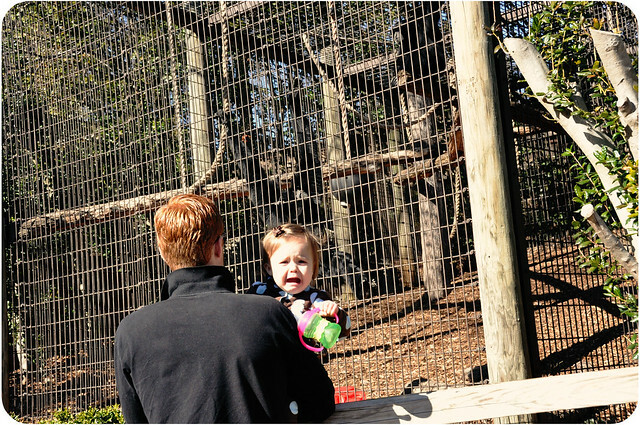 Our 2 year old loves animals but also has never been very impressed with the zoo. I think he'd much rather play on the Cleveland Park playground than watch animals behind cages just lie around! Love these pictures! Your family is precious and congrats on the new baby girl!! I just stumbled upon your blog and wanted to say hey. I am also a SC girl, living in the upstate!